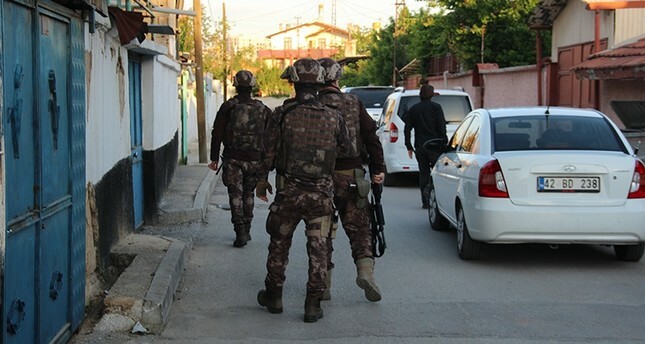 Police in Turkey's central Konya province detained nine Daesh-linked suspects in an anti-terror operation Tuesday, a police source said. The suspected terrorists were detained for making propaganda for the Daesh terrorist group on social media, the source said. Police also seized documents and other materials during raids, carried out with the participation of special operations squads. The suspects were brought to the hospital for routine health checkups and were then transferred to the police headquarters for inquiry. Police continue to search for other suspects who were not at their addresses. Since 2015, more than 300 people have lost their lives in Daesh-claimed attacks in Turkey, where the terror organization has targeted civilians and security forces in suicide bombings, and rocket and gun attacks. This count includes the country's deadliest terrorist attack, which killed 102 people and wounded 400 others in a twin suicide bombing at a peace rally in Ankara on Oct. 10, 2015. Next week, Turkey will mark the first anniversary of a Daesh raid on a popular nightclub in Istanbul where 39 people, including foreigners, were killed during New Year's Eve celebrations. The country's efforts against Daesh made it a primary target for the terrorist group. Ankara has deported more than 5,000 Daesh suspects and 3,290 foreign terrorists from 95 countries in recent years, and has dismantled several terrorist cells that provided logistical assistance in Syria and Iraq, and plotted attacks inside the country.